The British Medical Association’s Annual Representative Meeting (ARM) takes place at the end of this month on 27 to 30 June 2011 at St David's Hall, Cardiff. It brings together doctors from all parts of the profession to debate motions on various aspects of their working lives and professional practice. As expected the NHS reforms will feature prominently and by the time the meeting comes around the government’s agenda should have been laid out in detail. 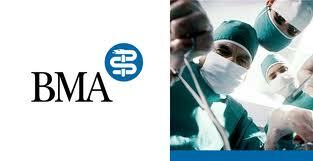 The entire agenda for the four day meeting is available on the BMA website. I was naturally drawn to the ethics section due to take place on the morning of Tuesday 28 June between 1050 and 1140. There is never enough time to debate all the motions that are submitted so the Agenda Committee prioritises those it considers most important and relegates the rest to the ‘grey’ section of the agenda that is ‘unlikely to be reached’ (ie. will not be reached). The three motions in the white section of the ethics agenda this year concern presumed consent, abortion and the Falconer Commission on Assisted Dying. The first motion (303) is asking the BMA to reconsider its policy on presumed consent for organ donation. The BMA currently supports presumed consent on the basis that it increases the supply of organs available for transplant – but opponents argue that presumed consent, whereby people have to opt out actively beforehand or have their organs harvested, is not consent at all. Presumed consent is currently not legal here but it is in some other countries like Spain. The second motion (304) is calling for a reduction in the upper limit for abortion, in the absence of foetal abnormality, from 24 to 20 weeks. Although Britain allows abortion up to 24 weeks for normal babies and up to birth for disabled babies there is growing public concern about late abortions on the basis of advances in ultrasound, improved neonatal survival and evidence about babies being able to feel pain well before this limit. This motion will generate a lot of media interest as with the current balance of opinion in parliament a twenty week amendment could well pass if it came to the vote and support from the BMA would make that more likely. The third (305) is a complex five part motion criticising Lord Falconer’s commission on assisted dying. This is not unexpected. Falconer’s commission is unnecessary, unbalanced and lacking in transparency and there was so much concern about it expressed in motions submitted to this year’s ARM that the Agenda Committee itself has seen fit to draft a complex five part motion criticising it. This will be a fascinating debate. It looks like it will be a lively fifty minutes. If I was there I would be voting for all three motions! I have pasted the full wording of the motions below. Those that were rejected for debate can be accessed in the full agenda on the BMA website. 303 Motion by WEST GLAMORGAN DIVISION: That this Meeting calls on the BMA to reconsider its policy on presumed consent for organ donation in view of the experience in Spain, where the evidence shows that presumed consent has had no effect on organ donation rates. 304 Motion by WORCESTERSHIRE DIVISION: That this Meeting believes that the legal limit for termination of pregnancy, in the absence of foetal abnormality, should be reduced from 24 to 20 weeks gestation. Terrible site!!! It wasn't helpful at all. I'm totally against it. Murder is a sin. I won’t visit again for more updates. Stop the violence!